Everyone is anticipating a surprise return of the Nike Air MAG on Oct. 21, 2015, to coincide with the day that Marty McFly arrives on in Back to the Future II, but Nike isn't the only company with product tied in with the film. It turns out Pepsi will be making the most of the special day by debuting Pepsi Perfect, which also appeared in the 1989 film. 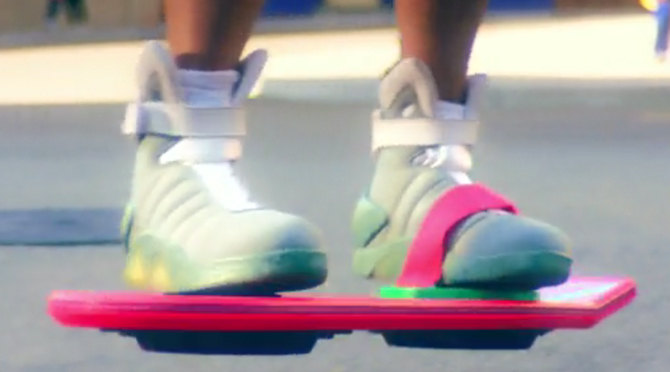 The company promised the product today with the below video, which also features a pair of the Back to the Future shoes. Actually those aren't the real deal Nike MAGs, and Pepsi instead used the Halloween costume version to avoid having a couple of Swooshes in the middle of its new spot. Like the Nike MAG, this Pepsi product will be limited: only 6,500 bottles will be available according to First We Feast.